Thai food is sumptuous because it's appetizing, spicy and is full of it's unique flavor. 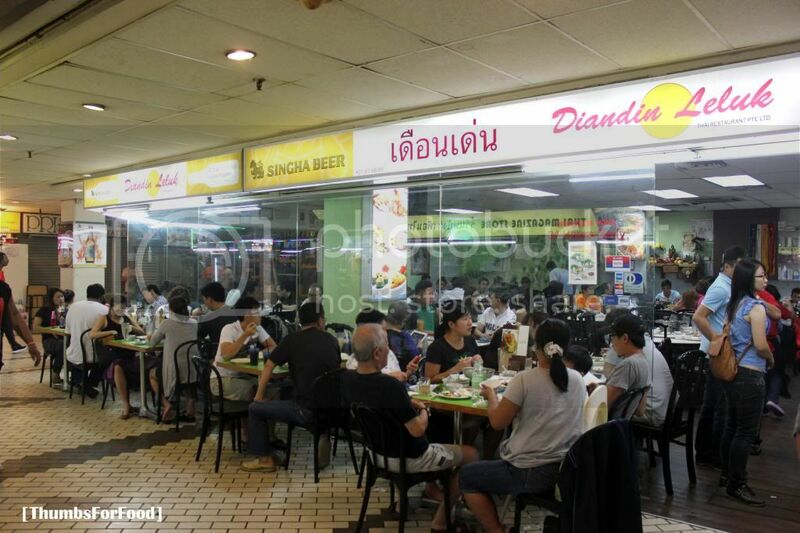 So, today, we're going to share with you on our take of Diandin Leluk, quite a popular Thai Restaurant located in Golden Mile. 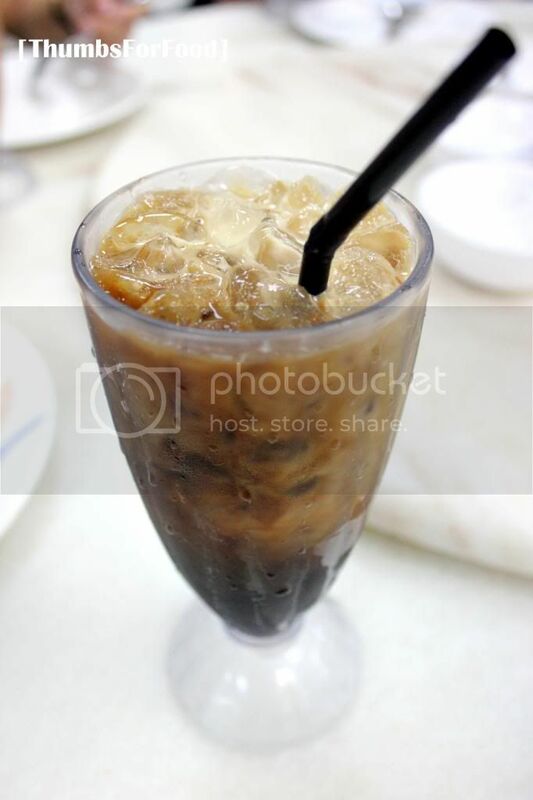 As Golden Mile is known for being "Little Thailand" in Singapore, there are also other restaurants there, so, look out for our other reviews in Golden Mile. As we were there on a Saturday night, the place was flocked with people. Fortunately, Diandin Leluk had many tables and occupied quite a large area. We did not have to wait for long to be seated. We had 6 people and thus, was able to order a large variety of dishes. 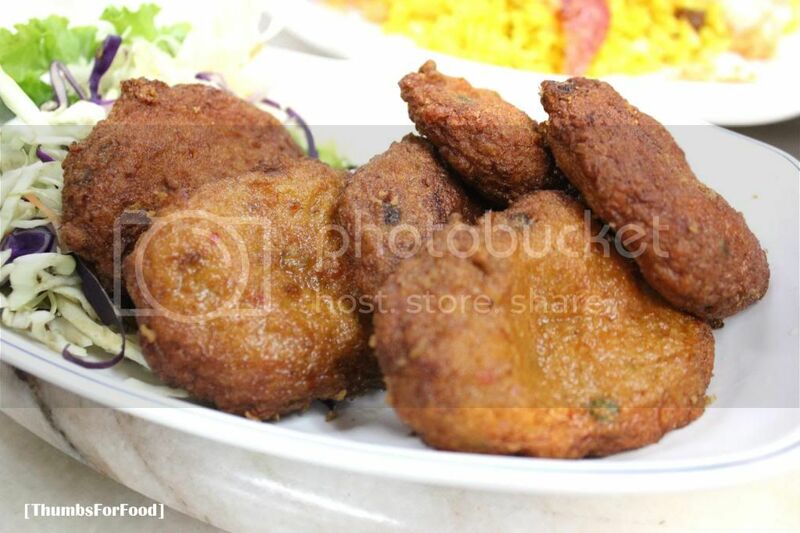 You can choose the portion - Small, Medium, Large, depending on the number of people and depending on your appetite. It is a bit like a Chinese Tzi Char Style. All in all, we spent $25 per person. I can't remember how each dish cost though because I was too hungry to take note of the price. Firstly, we ordered a medium-portion Pineapple Fried Rice. Really, nothing special about it. Rather disappointing actually. There wasn't much ingredients in the fried rice and it didn't really have an aromatic Pineapple taste. 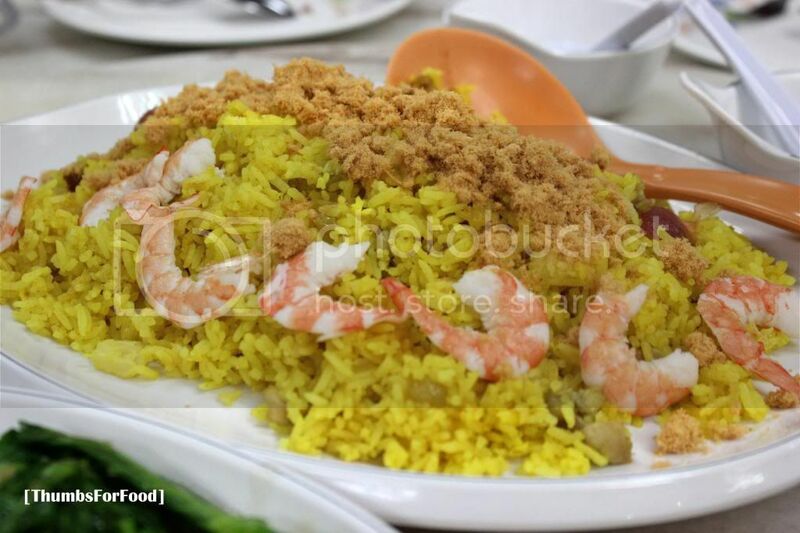 I'd rather opt for plain rice in future. Green Curry we ordered small portion. If I'm not wrong it costs $10. The portion is really quite small. 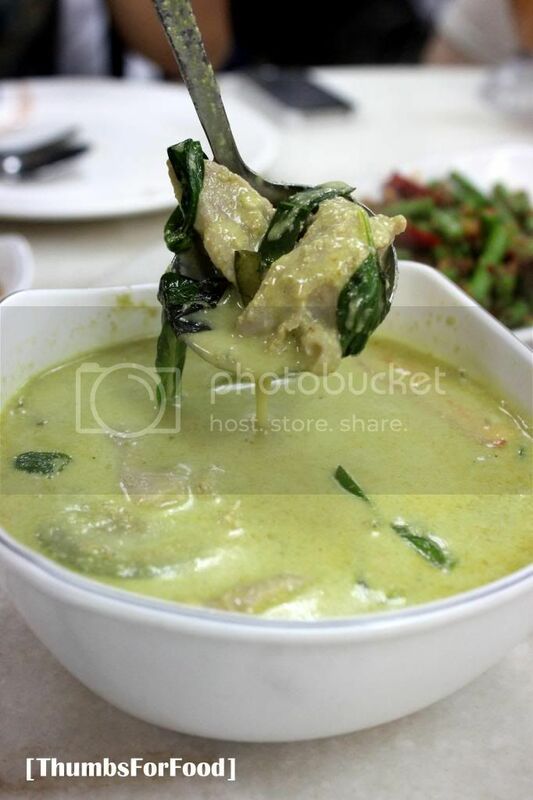 The green curry taste is not very different from other green curries I tried at other restaurants. They had chicken with the green curry. 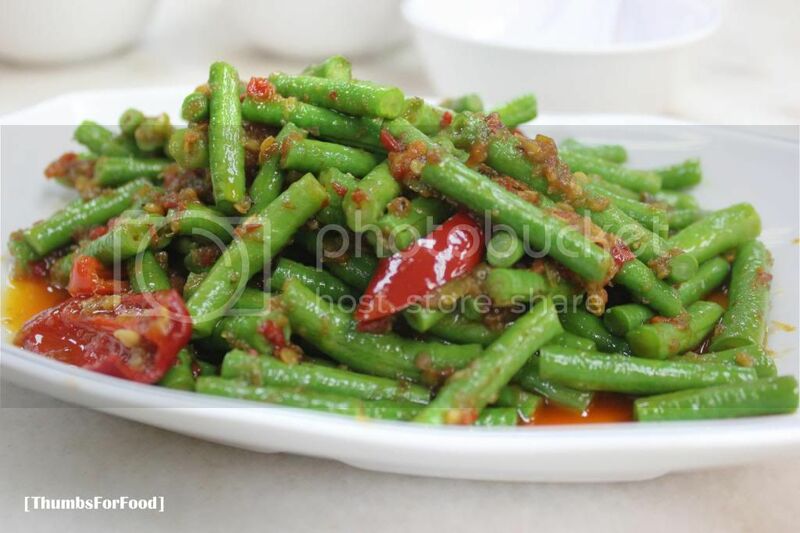 Not a spicy dish, so, suitable for people who can't take spicy food. Prawn Cake and Fish Cake were chosen as they are must-haves for us in a Thai meal. I think the two dishes are really not fantastic. If given a choice, prawn cake would be more unique since I have not eaten it before. 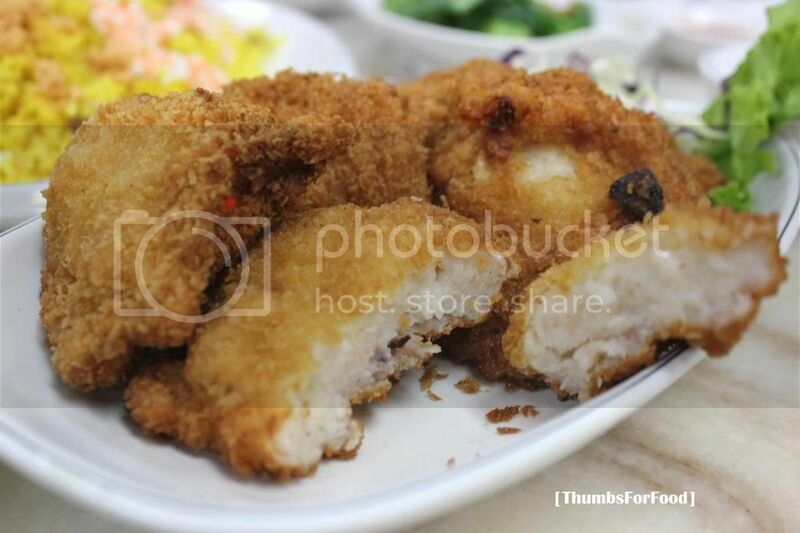 The fish cake pales in comparison to the ones sold in Nakhon (another thai restaurant; look out for reviews). What's a Thai meal without Tom Yam? The Tom Yam here is very disappointing! It is too sweet and sour rather than spicy. The sweetness kind of taste artificial. The ingredients are also not very fresh. As we feel Tom Yam Soup is the heart of Thai Cuisisne, we don't think we will be back die to this disappointing dish. 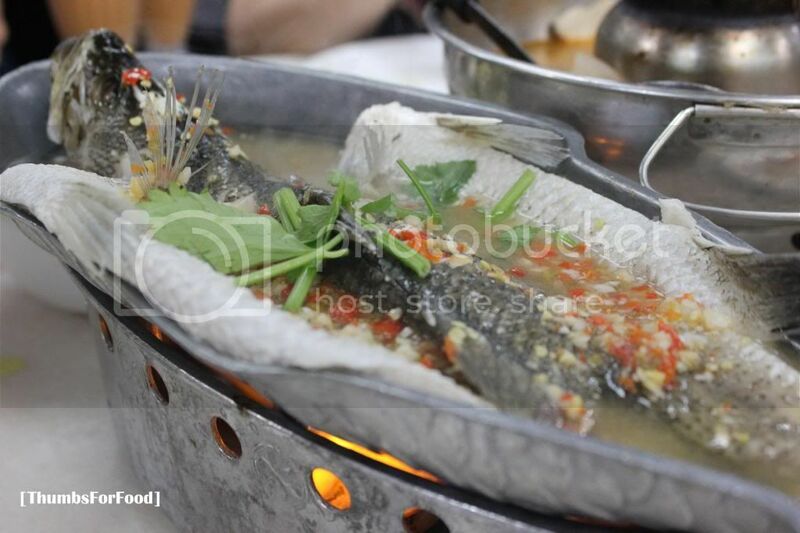 We ordered the Steam Fish as recommended by the manager of the shop. The steam fish looks good, appearance-wise. However, taste-wise, there is no sweetness of the fish indicating that the fish is not very fresh and tasty. For a recommended dish, we find that it doesn't live up to it's name. 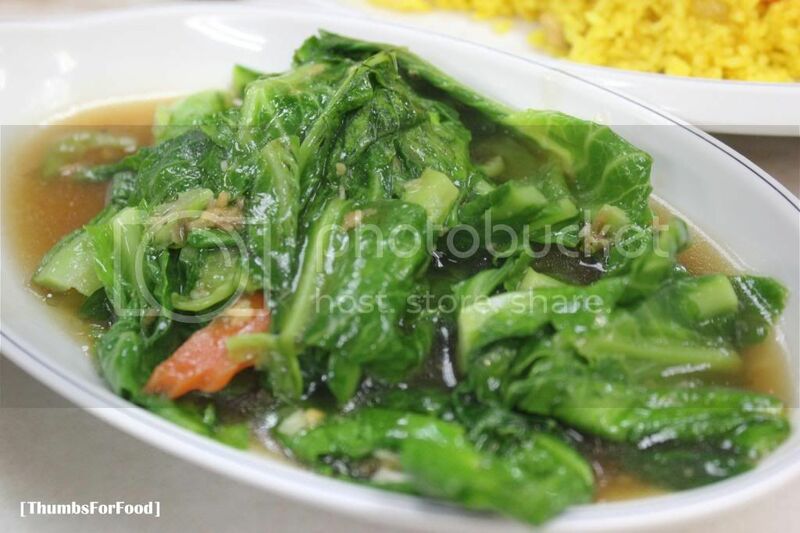 Vegetable dishes are quite average as well. Nothing to rave about. 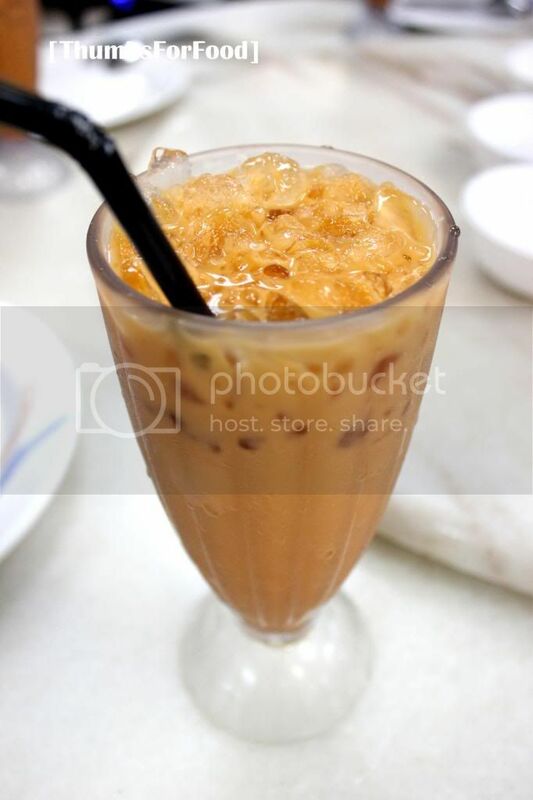 They serve Thai Iced Coffee and Thai Iced Tea. Having high expectations of Diandin Leluk, we were quite disappointed by the quality and taste of the food. There wasn't a dish that was spicy even though it was supposed to be. There was no dish that we fell worth our travel down to Golden Mile. They have a stall beside the restaurant which sells Thai Snacks and desserts such as Mango Glutinous Rice. Do give it a try if you're there! 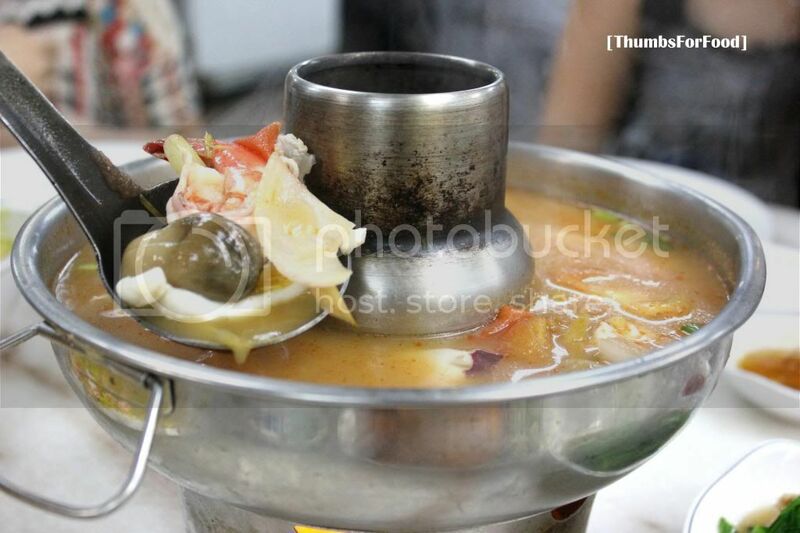 Do look out for our review on Thai Steamboat in Golden Mile coming up soon!